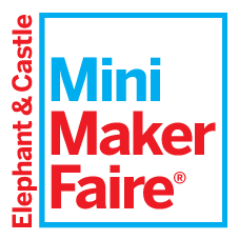 Meet Chasing Lula at London's First Mini Maker Faire! There I will be playing with with embroidery, electronics and soft circuits and of cause showcasing some of my hand-made accessories as well! showcase of invention, creativity and resourcefulness, and a celebration of the Maker movement. It’s a place where people show what they are making, and share what they are learning. The original Maker Faire event was held in San Mateo, CA and in 2012 celebrated its seventh annual show with some 800 makers and 110,000 people in attendance. World Maker Faire New York, the other flagship event, has grown in three years to 500+ makers and 55,000 attendees. Detroit, Kansas City, Newcastle (UK), and Tokyo are the home of “featured” Maker Faires (200+ makers), and community-driven, independently organized Mini Maker Faires are now being produced around the United States and the world—including right here in London. "